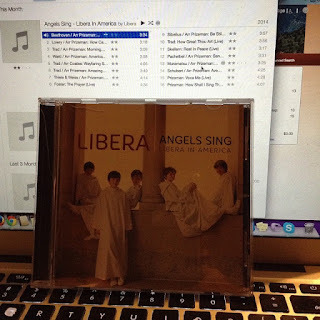 For the past couple of weeks, I've been listening to an absolutely fabulous CD from Libera. 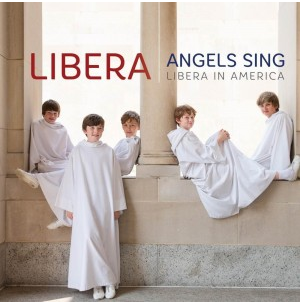 They are a boys choir from London, and oh, they are just fantastic. 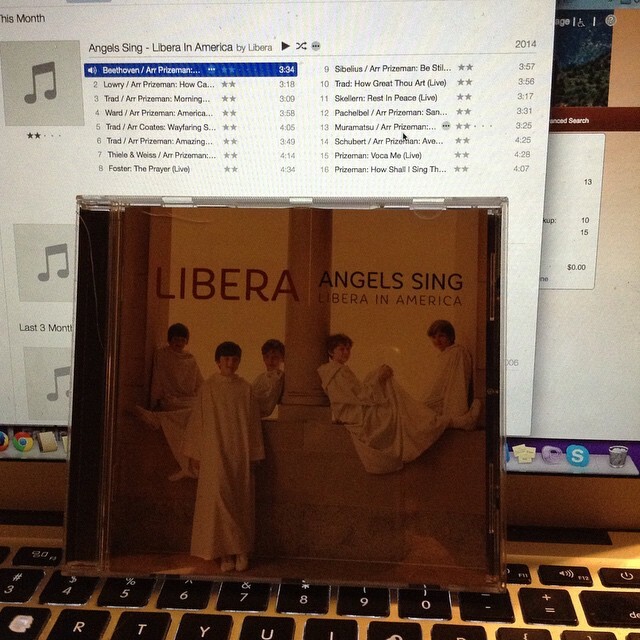 Angels Sing may just be my absolute favorite CD ever. I am so grateful to Family Christian for this opportunity! Of course, any album that starts off with Beethoven has to be doing something right. I tend to be a little picky with my music, I know. And I have fairly eclectic tastes. I love classical, and this collection does include some of that. Not just Beethoven, but Schubert, Pachelbel and Sibelius. I love traditional hymns, the type I sang in church growing up. There is some of that in here too. Amazing Grace, How Shall I Sing That Majesty, and How Great Thou Art. I like folk music, like Wayfaring Stranger, or songs from the early 20th century like Morning Has Broken. I like more contemporary things too, and there is a smattering of that as well, such as How Can I Keep Myself from Singing? and What a Wonderful World. Plus a few more titles that I skipped in this list. What is amazing is that all these very different songs blend together into a wonderful collection. I had the CD in the car, and no matter what started playing when I started the car, it calmed me down. Now I have it on my computer, so I can listen along with whatever else I am doing. I tried to play this when I went to bed, but I find myself singing along and not going to sleep. I have a copy to give away! You want this, really, you do. "America" is astonishing. It takes me right to why our country was founded - a refuge and shining light. Amazing. I honestly can't pick a favorite, I like the all! Thanks for the chance! Sounds like a wonderful mix of musical styles! My daughter's choir did How Can I Keep From Singing this spring so I think that one would wind up a favorite. It sounds like a wonderful CD. Thank you for the chance to win!